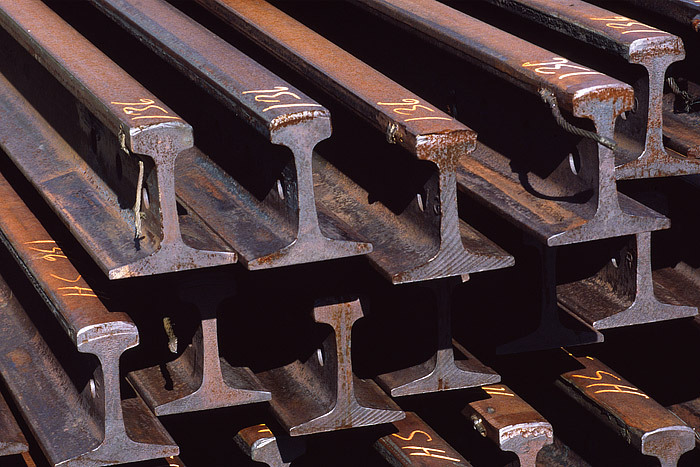 A pile of 136 lbs rail sits at the ready on Union Pacific's Moffat Subdivision. The rail is stacked at the East Portal of the Moffat tunnel to facilitate quick repairs to this vital coal route. The Moffat tunnel is located along Colorado's Front Range and is 8 miles long. Photo © copyright by Thomas Mangan.